Back Row (left to right): Hiram Brock (Senator), W.A. Price; Front Row: J.W. Cammack (Attorney- General), V.O. Gilbert (State Superintendent), Jere Sullivan. 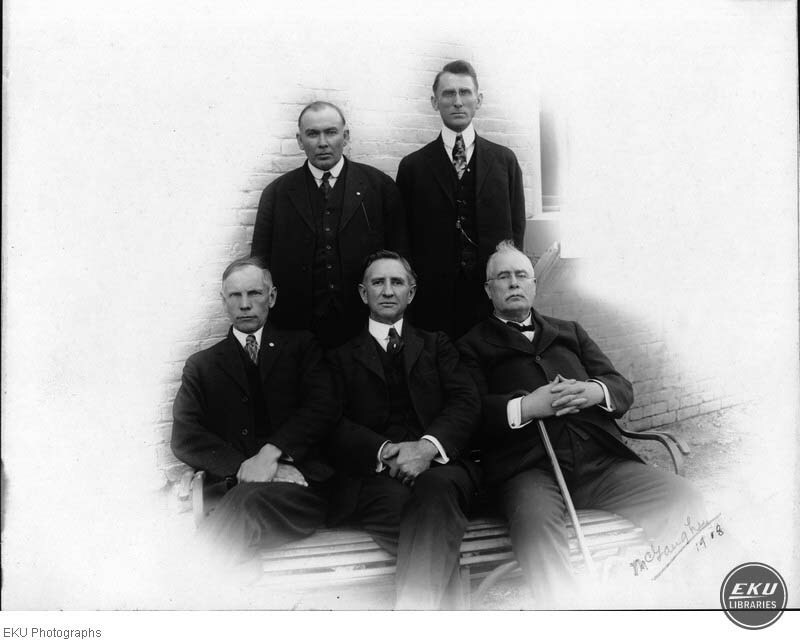 McGaughey, S.J., “1908 Board of Regents,” Digital Collections, accessed April 26, 2019, https://digitalcollections.eku.edu/items/show/32770.